Put your email address in the box below and "submit" to be notified when a new post is added. 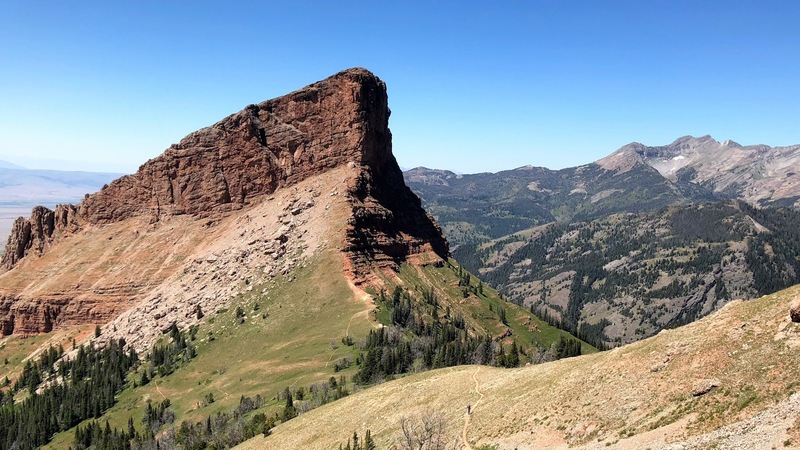 This unusual peak, called “The Helmet”, is located in the Madison Range of southern Montana, 22 miles northwest of Yellowstone Park. The photo was taken as friends and I descended from a neighboring peak called Sphinx Mountain. The Helmet is so-named because it resembles the comb on a Spartan’s helmet, and Sphinx Mountain was so-named because it looks like Egypt’s famous Sphinx when viewed from the north. Besides their unusual shapes, the two peaks share another strange feature - Both are made of a fairly uncommon rock called “conglomerate”. Conglomerate is a sedimentary rock (sandstone, shale, and limestone are others). 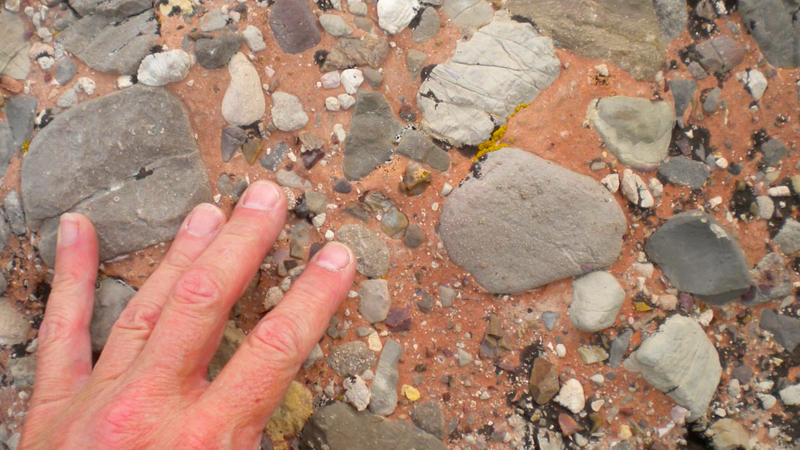 With conglomerate, the sediment that became rock was gravel. It is unusual to find a whole mountain made of layer upon layer of conglomerate, but that is the case with Sphinx Mountain and The Helmet. Both mountains are composed entirely of thick layers of a “limestone conglomerate” - pebbles, cobbles, and boulders of limestone embedded in a reddish sandstone matrix. All total, the beds of conglomerate are over 2,000 feet thick. It is believed that the gravel was deposited here during the Eocene period (56-34 mya), when the area was a basin. The basin, which was probably much more extensive during the Eocene, presently occupies an area of only 2 square miles - and it’s not a basin any more. Over millions of years the layers of gravel became stone, and then were pushed up as the Rockies formed. Now Sphinx Mountain (10,876 ft.), one of Montana’s most iconic peaks, stands as a remnant of this gravelly basin. The Sphinx conglomerate is found only on Sphinx Mountain and The Helmet. To see more photos of Sphinx Mountain, The Helmet, and the Sphinx conglomerate, go to Bigskywalker.com.